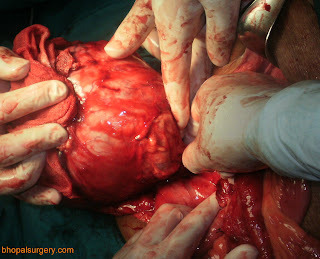 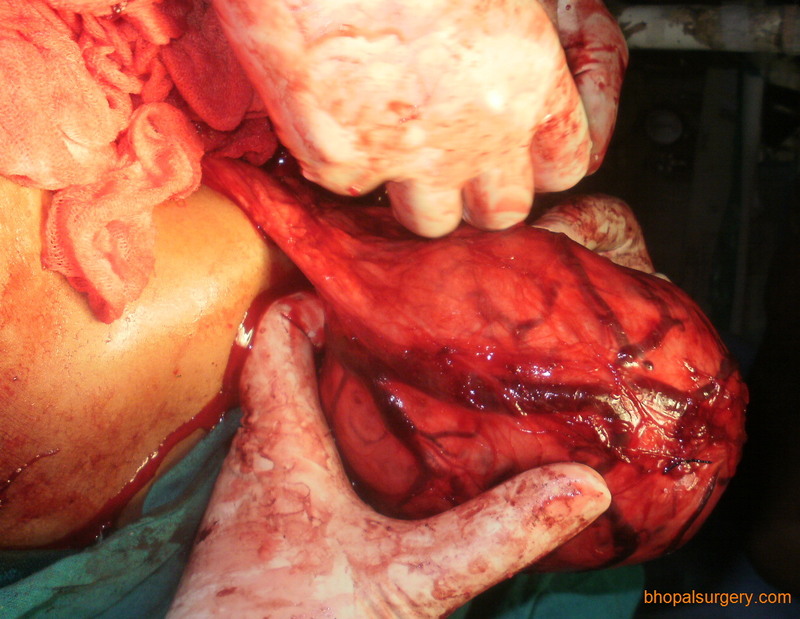 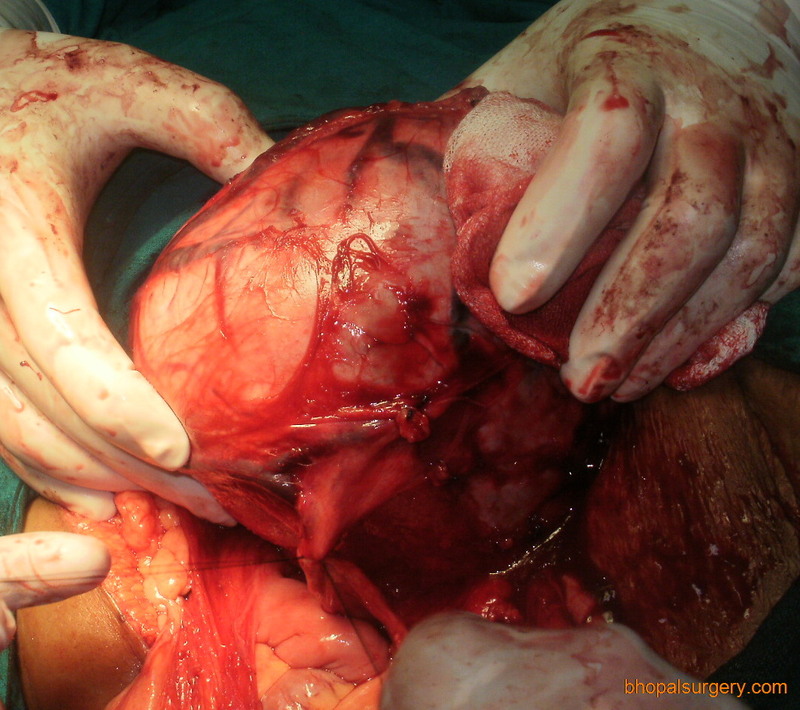 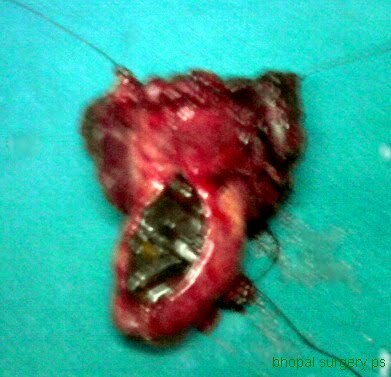 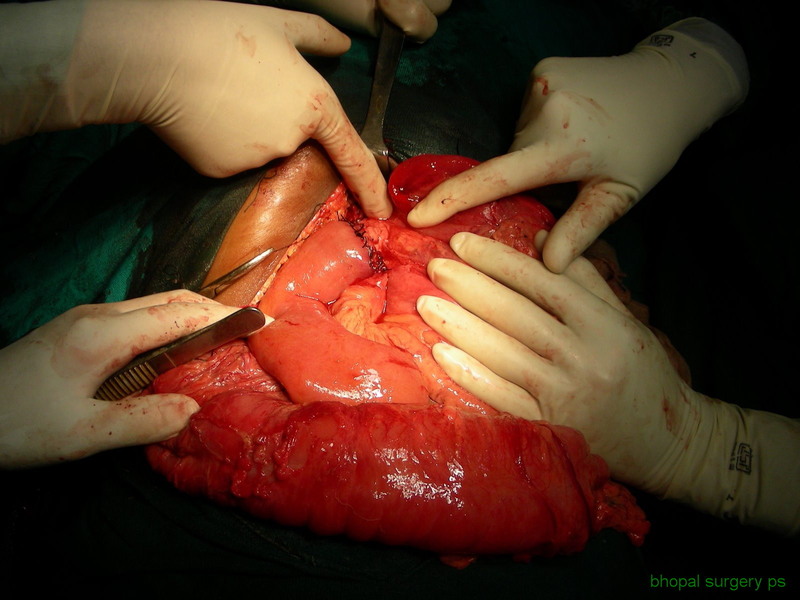 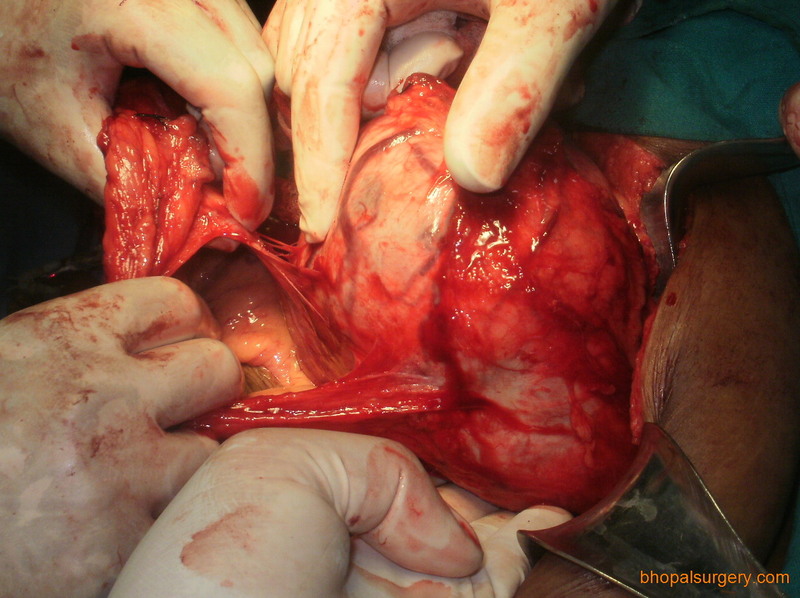 Segment 4b & 5 liver resection done by kelly clysis. 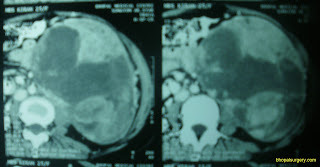 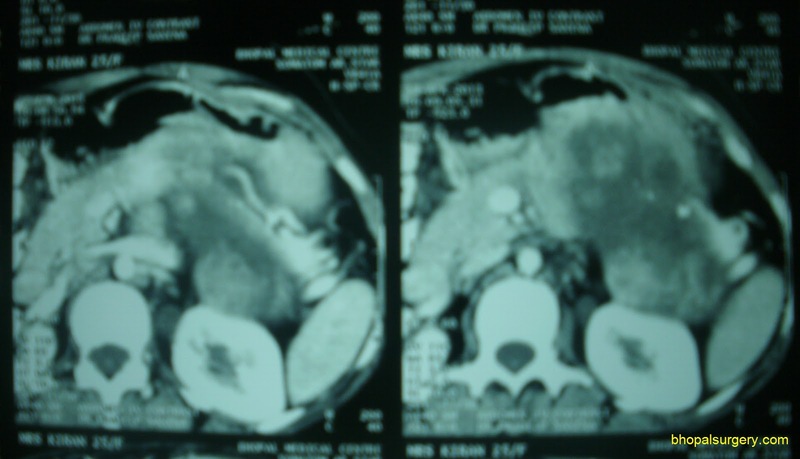 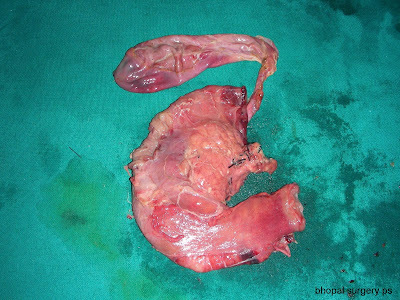 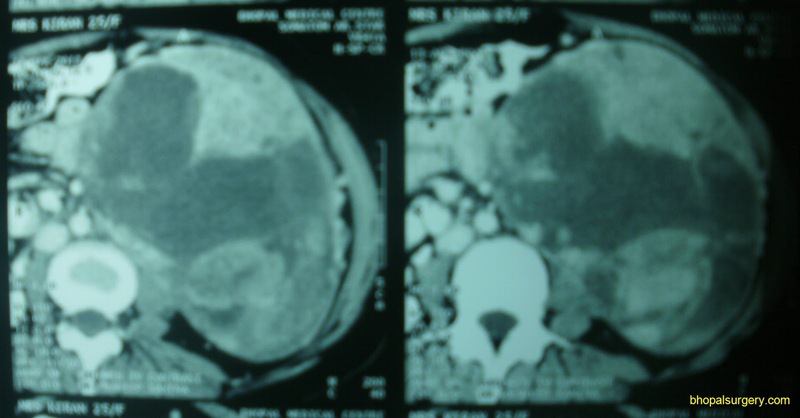 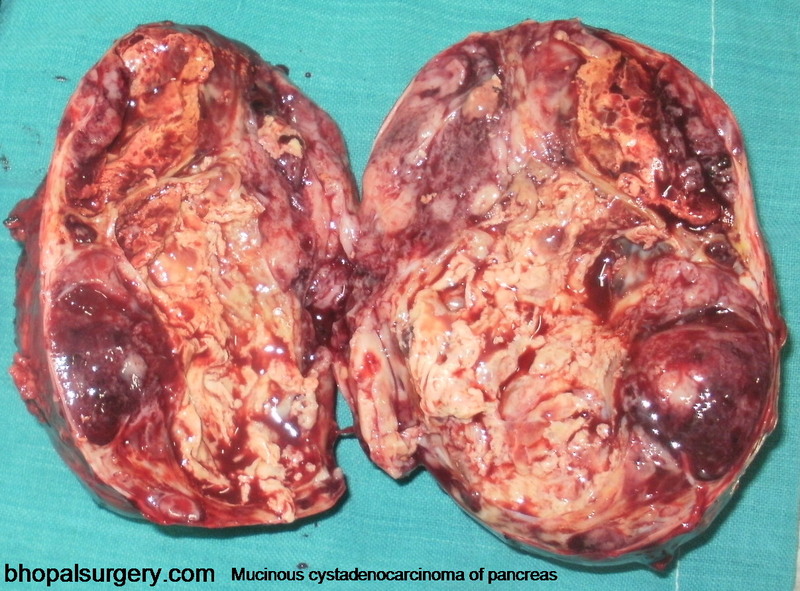 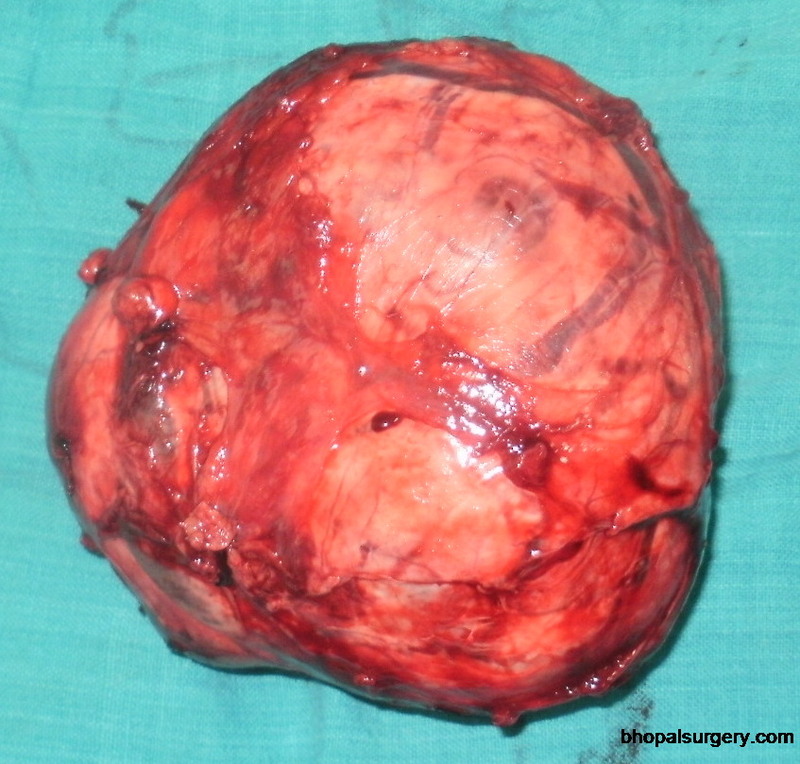 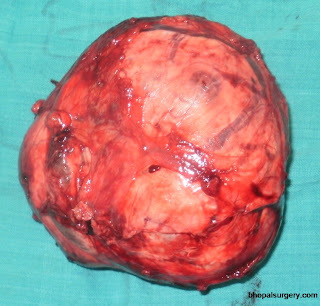 Mucinous Cystadenocarcinoma of pancreas in a 25 year old female: Patient presented with lump in left hypochondrium. 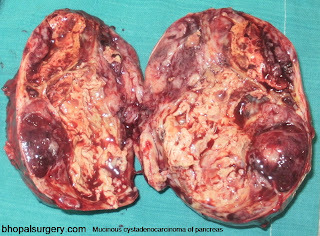 CT Scan revealed a huge pancreatic tumor with solid and cystic components abutting superior mesenteric artery, abdominal aorta, inferior mesenenteric vein, kidney and splenic hilum. 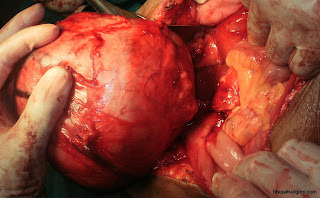 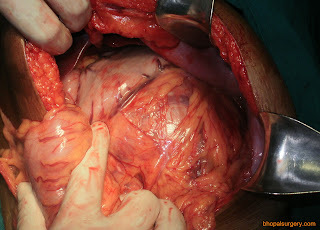 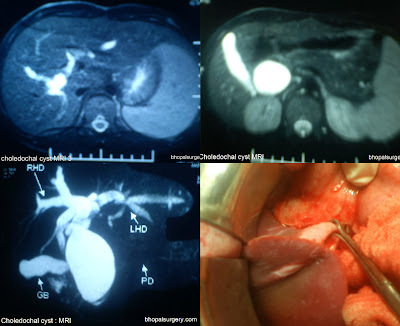 Choledochal cyst : Type IV A, with intrahepatic gallbladder in a 11 years male child. 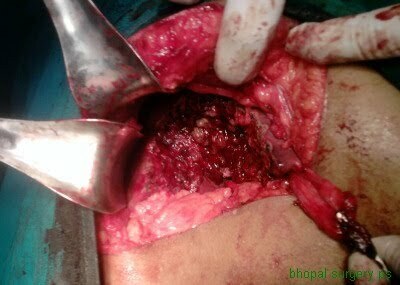 Cyst excision with Lilly technique was done. 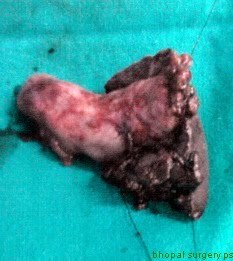 Mucosa of the remnant cyst wall was fulgurated by bipolar cautery. 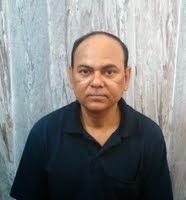 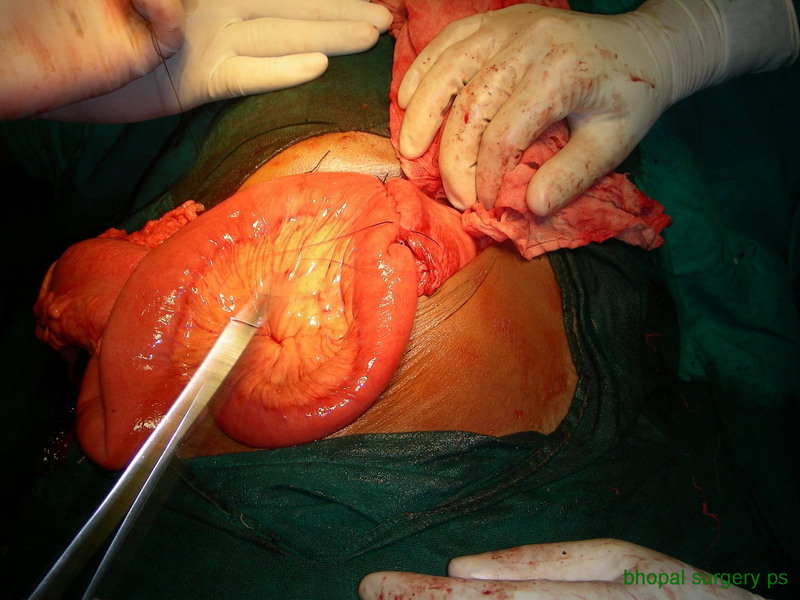 Reconstruction was done by Roux-en-Y hepaticojejunostomy. 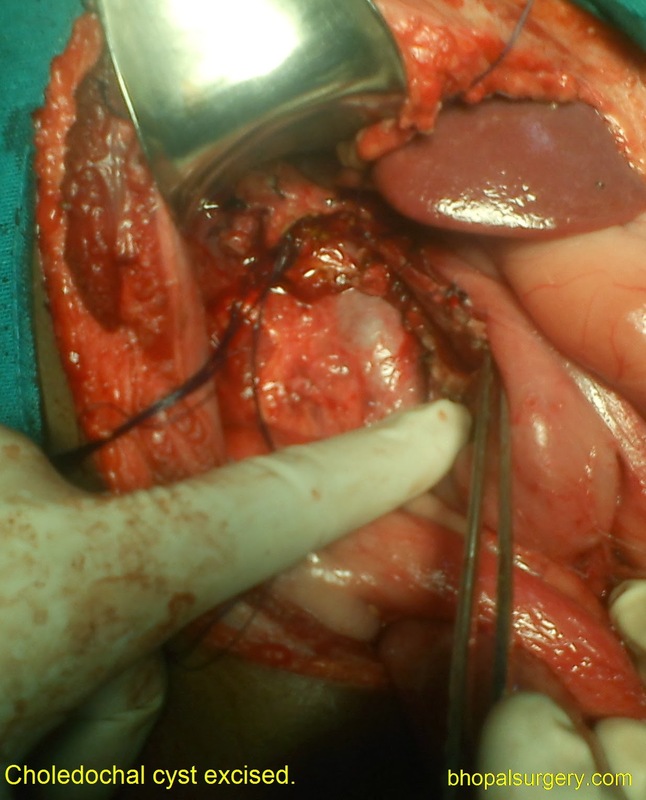 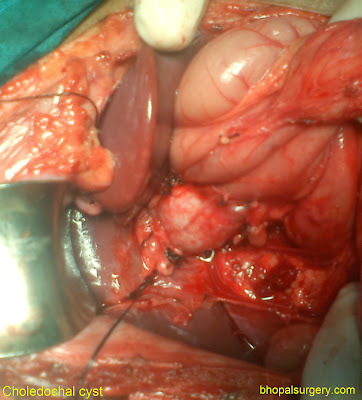 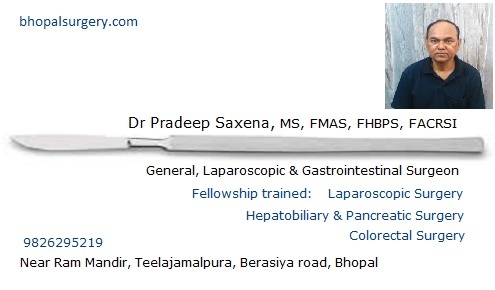 Closed drain insertion for recurrent Liver abscess in a HIV positive patient.